Flinchbaugh Quality begins and ends with employee ownership. As a 100% employee owned company (ESOP), everyone works toward the same goal: Increasing company value by exceeding customer expectations. Quality is one major cornerstone to 100% customer satisfaction. Quality isn’t just parts to print; it’s how we do what we do, every day. Even “Best Practices” can be made better or more efficient. Our 20 year old Kaizen program drives participation at all levels of our organization by tying participation to yearly profit sharing. This provides an additional incentive for all employees to speak up in regards to any suggestions that improve their processes or work areas. Flinchbaugh strives to continually improve processes and systems, enabling us to provide world class manufacturing for our customers and employee owners. 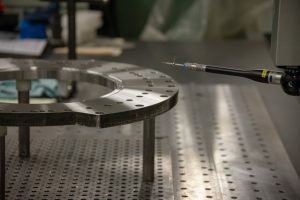 The parts we manufacture for our customers are mission-critical. 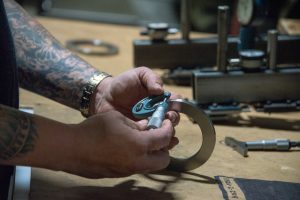 Being a valve on an oil rig, a key transmission component of a mining truck miles underground, or a wheel hub on a passenger vehicle, our parts cannot afford to fail. 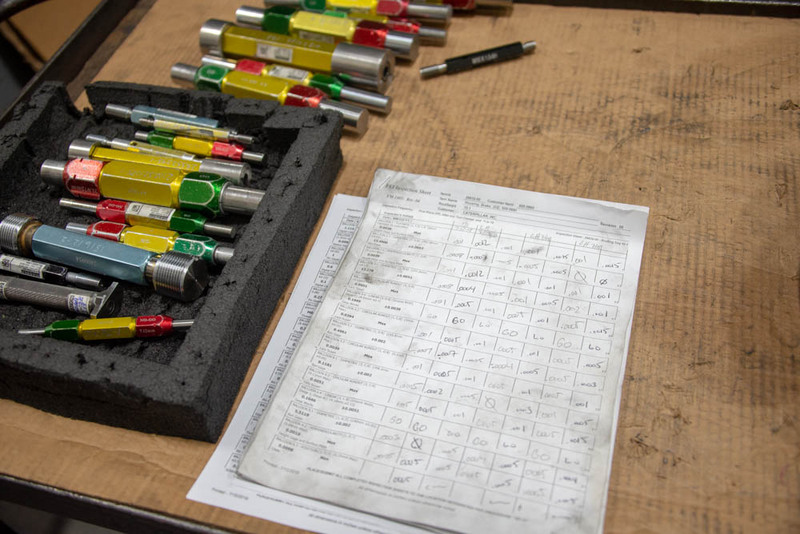 Our quality systems and capabilities have been audited and approved by major international OEM’s like: Caterpillar, SKF, Volvo, National Oilwell Varco, Meritor, and Siemens to name a few. Parts undergo an APQP process before we cut the first chip. Processes are planned around the potential risks to ensure the desired outcome. Complete PPAP documentation is produced to ensure adherence to plan and repeatability of processes. When is the last time you checked the oil in a rental car? Never? But when it’s your car you regularly check it or have the car serviced in order to keep it running in top condition and reduce your costs of ownership. That is the premise behind our Total Productive Maintenance (TPM) program – we own our facilities and equipment. TPM requires the involvement of all of our employee owners to minimize unscheduled downtime or capital expenditures. Our Strategic Cell Migration model requires Flinchbaugh to employee a world class facilities and machine maintenance team. 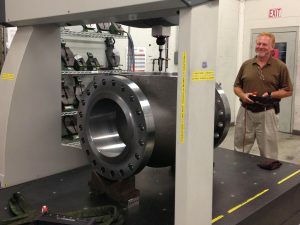 We pride ourselves in our ability to revitalize tired assets by renewing them to OEM specification and maintaining a stellar record of less than 2% unscheduled downtime throughout our facilities. Flinchbaugh Engineering has maintained ISO 9001 certification since 2004. Standardization of business and manufacturing practices ensure our customers repeatable and dependable supply of products and services that exceed their expectations.